As you’ve probably noticed, we’re huge fans of monthly beauty box subscriptions, and Birchbox just happens to be one of our favorites. Need proof? Check out our in-depth Birchbox review. If you’re already a Birchbox subscriber, you’ve probably made great use out of all of the products you’ve received. However, as you’re well-familiar, there’s an added perk: your samples come in adorable Birchbox boxes that are the perfect size to reuse! Once I had a few Birchbox boxes pile up, I decided they just couldn’t be thrown away. That’s when I began to dream up endless ways to reuse the boxes! 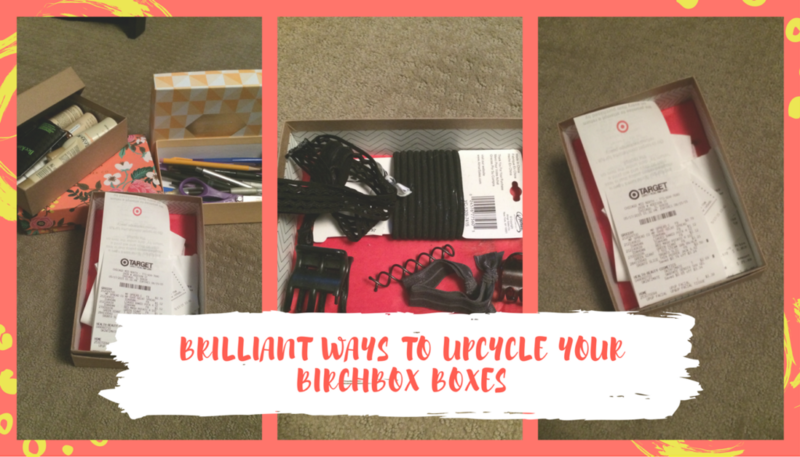 If you are wondering how to upcycle your Birchbox boxes, here are a few for inspiration. Of course, you can also use these ideas for upcycling a Glossybox or any other subscription box you may receive! 1. Unused Samples: Use them to store your unused Birchbox samples (duh). 2. Hair Accessories: Use old beauty boxes to store hair accessories – particularly hair ties, clips and hairpins, which always seem to go MIA. 4. 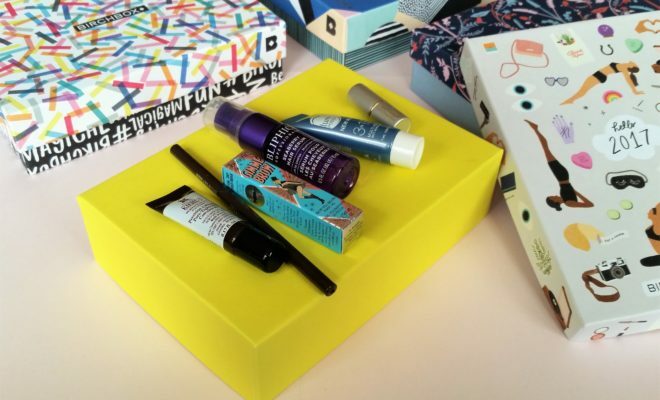 Coloring Supplies: Birchbox boxes are the perfect size to store pens and pencils! I store my colored pencils and Sharpie markers, making them easier to access when coloring. If you have kids, you’ll definitely get a lot of mileage out of old Birchbox boxes! 5. Craft Supplies: Birchbox boxes are the perfect size for small craft items like beads. If you’re looking to upcycle a Glossybox, you’re in luck – you can store even more in those boxes! 6. Store Old Photos: YOU GUYS. Birchbox boxes are the perfect size to store old photos! I went through all of my old photos from the 1980’s – 2000’s, split them up into categories, and stowed them all neatly away in my extra Birchbox boxes. The boxes are perfectly sized, meaning my photos are safe, sound and won’t curl or begin to crincle. 7. Manicure Kit: Keep your nail polish, manicure supplies and everything else you need easily accessible for #manimonday. 8. Greeting Cards: Birchbox boxes are the perfect size to store Thank You cards, Christmas cards, postcards and most stationery. 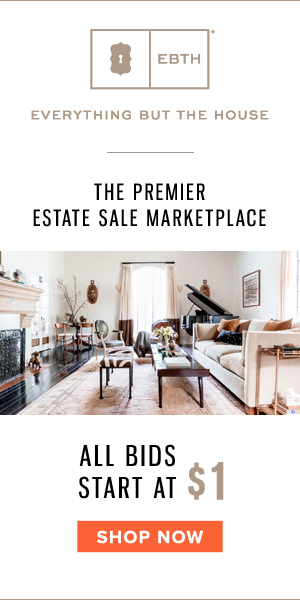 You can use them to store both unused greeting cards, as well as those you’ve received from friends and family that you haven’t thrown out yet. 9. Desk Organization: Make your desk tidy and impress your coworkers. Orderly and stylish? You deserve a raise. 10. Travel Essentials: Keep a travel box ready-to-go with essential travel size items. One of my favorite travel hacks! 11. Kids’ Stuff: My sister loves to reuse old Birchboxes to manage her kids’ knicknacks like stickers and other do-dads. 12. Sewing Kit: No more searching for a needle, thread or spare button! 13. Gift Cards: Whenever I buy someone a gift card, I like to place it in an old Birchbox and wrap it up. It’s much nicer to open a small box than pull a gift card out of a greeting card! 14. 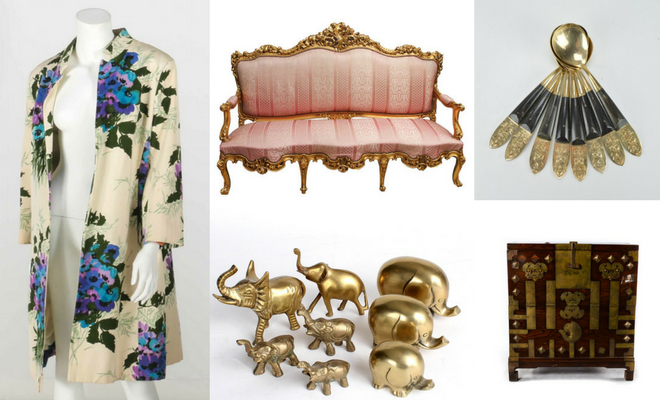 Shipping Items: Do you ever sell items online or ship gifts to friends? Reuse Birchbox boxes! They fit perfectly in the USPS Small Flat Rate box. If you sell items online, you may even wish to keep the box your Birchbox came in – they’re the perfect size to ship so many things! 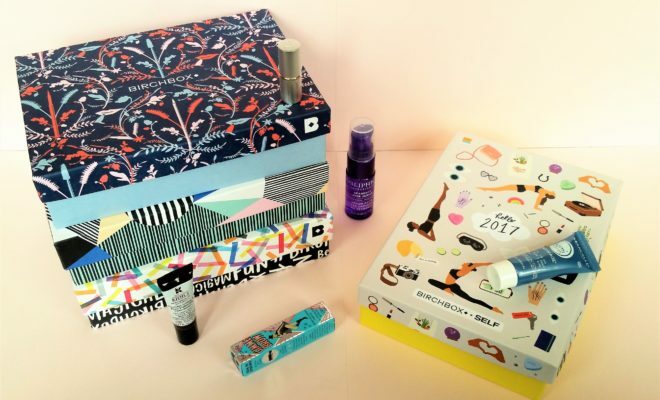 How do you upcycle your Birchbox boxes? Share your ideas for reusing old beauty boxes below! Don’t have a Birchbox subscription? Sign up here!